Track and Field dominated at the North Florida Invitational April 6 with three first-place wins and five second-place finishes. Senior thrower Camora Sanders started off the meet for the Rams with a win in the discus throw, casting a toss of 76.41 meters. Sanders also earned second place in the shot put with a 14.61-meter throw. The Rams’ 4-x-400 team — made up of senior mid-distance runner Nichelle Scott, senior sprinter Taylor Watkins, freshman sprinter Channelle Hodges and junior sprinter Kayla Smith — finished in second place with a time of 3:45.22. Redshirt-freshman thrower Kayla Merkel earned a second-place finish in the javelin throw, tossing 14.61 meters. 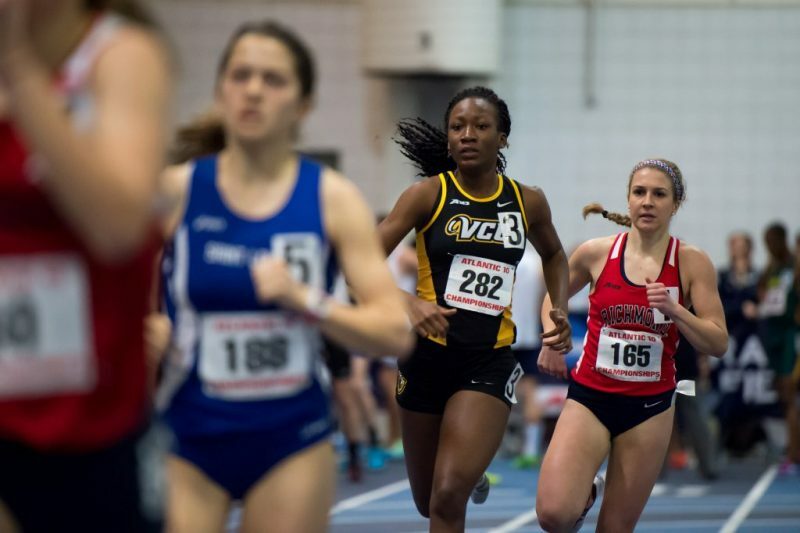 Sprinter Kayla Smith added another second-place finish for the Rams, this time in the 400-meter dash, ending with a time of 53.27. The men earned their first victory when freshman sprinter Emmanuel Waller won the 400-meter hurdles with a time of 53.26. Junior thrower Drew Hess finished in second place in the javelin throw event with a throw of 57.49 meters. Freshman thrower Jaekob Vollbrecht finished third with a toss of 48.36 meters in the discus throw. He also placed third in shot put with a 16.47-meter throw. 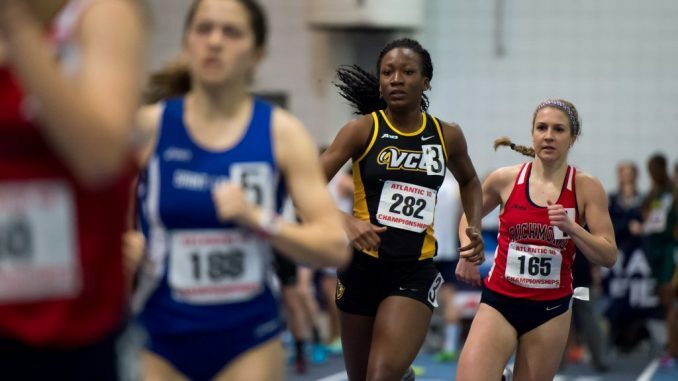 Track and Field will compete in the George Mason Spring Invitational April 13 in Fairfax.